How Answering Services Can Help Your Atlanta Bail Bonds Business? Home > Answering Services > How Answering Services Can Help Your Atlanta Bail Bonds Business? 27 Sep How Answering Services Can Help Your Atlanta Bail Bonds Business? A bail bond acts as a surety for the accused who is expected to attend all required court hearings. The authorities will not release those arrested for a serious crime unless they are confident they will show up in court. Defendants can either deposit a pre-determined bail amount in cash with the court or submit a bail bond. For a bail bond company, it is critical that every phone call received is answered immediately irrespective of the time of day and even on scheduled holidays or weekly offs. When the callers’ attempt to reach out do not bear fruit, they are likely to try their luck elsewhere as time and urgency are of essence in such scenarios. 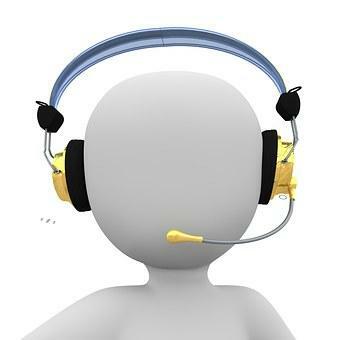 The live operators responding on your behalf, are handpicked and trained to handle each call professionally. They are taught to follow the pre-approved call script and protocols, are dedicated, courteous, pay attention to the slighted details and strictly maintain client confidentiality, at all times. Atlanta bail bonds businesses will immensely benefit from the know-how and prior experience that these answering services boast of. They add value by contributing with their expertise, know-how, trained resources and state-of-the-art technology. By providing hassle free services at competitive rates, these service providers give you an assured return on your investment. By patiently addressing frequently asked questions and concerns raised, the agents deputed by the answering service company, provide the required clarity to those who call in with their queries. This facilitates a better understanding of the entire process to those availing of the bail bond as the workings of the criminal justice system is simplified in layman’s terminology for their benefit. The operators responsible for manning the calls enjoy the added advantage of having access to translations services. Sometimes these agents are also bilingual. Knowing that they can be clearly understood, puts the caller at ease. The chances of losing out on potential clients owing to challenges in communicating, do not arise in such scenarios. Based on the specific requirements of the client, a suitable plan can be customized especially for them such that it will aid the bail bond business to function more efficiently. An accused is innocent until proven guilty hence, their civil rights must be duly protected.